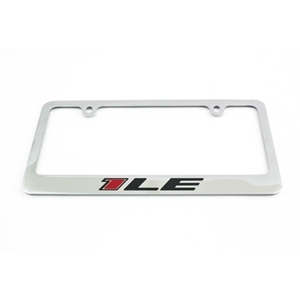 This heavy duty, solid brass frame will protect your plates and show your license plate in style. The Camaro 1LE logo is engraved on the bottom of this chrome plated, mirror polished frame and carefully hand-painted with UV-rated enamel to assure longevity. Rust resistant. Includes mounting hardware.